Polk County (pop. 602,095), east of Hillsborough County, is Florida’s fourth-largest county in land square miles. It’s one of 12 Polk counties, and one of the 10 named for President James K. Polk. The county has more than 300 lakes. The county seat of Polk County is the city of Bartow (pop. 17,329). The former courthouse is now the Polk County Historical Museum. 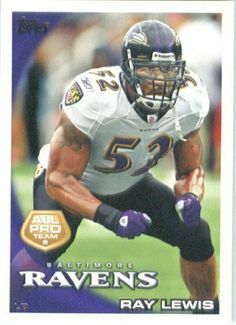 Former NFL linebacker Ray Lewis was born in Bartow in 1975. He played 17 years with the Baltimore Ravens. The largest city in Polk County is Lakeland (pop. 97,894), known for its lakes and swans. The swans were reintroduced to Lakeland in 1957 after all the older ones had been eaten by alligators. 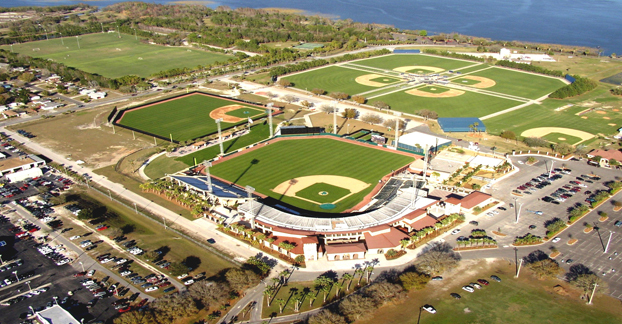 The Detroit Tigers have had their Spring Training home in Lakeland since 1934. Lakeland is the headquarters of the Publix chain of supermarkets, with more than 1,000 stores in the Southeast. 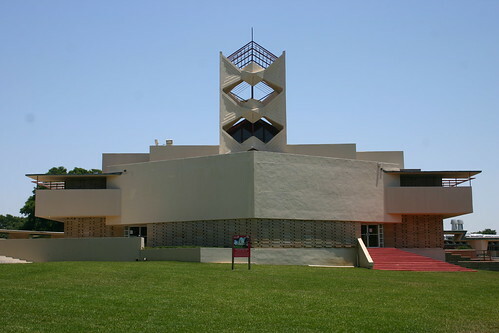 Florida Southern College in Lakeland, affiliated with the United Methodist Church, has the world’s largest collection of buildings designed by Frank Lloyd Wright on one site. East of Lakeland is the city of Winter Haven (pop. 33,874), long known as the home of Cypress Gardens (1936-2009) – Florida’s first theme park for tourists. The site is now Legoland Florida. Many of the lakes in Central Florida’s “Chain of Lakes” are in Winter Haven. The Chain of Lakes has about 27 lakes, most of them connected by canals. Musician Gram Parsons (1946-1973) was born in Winter Haven. His birth name was Ingram Cecil Connor III. Parsons’ father was a World War II flying ace, and his mother was from a wealthy citrus industry family. 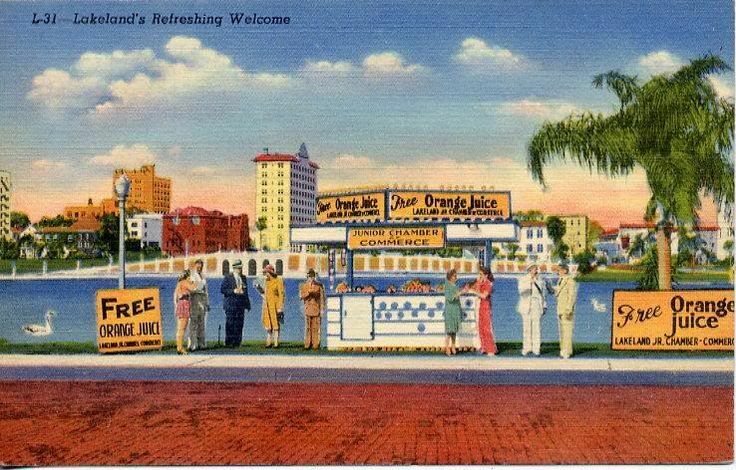 The Orange Dome, in Winter Haven, was the longtime site of the now-defunct Florida Citrus Showcase. The dome was demolished in 2012. Polk County has a city named Frostproof (pop. 2,994). Frostproof got its name in an effort to convince the public that it would never have a citrus-killing frost – but a frost killed many trees a couple years later. 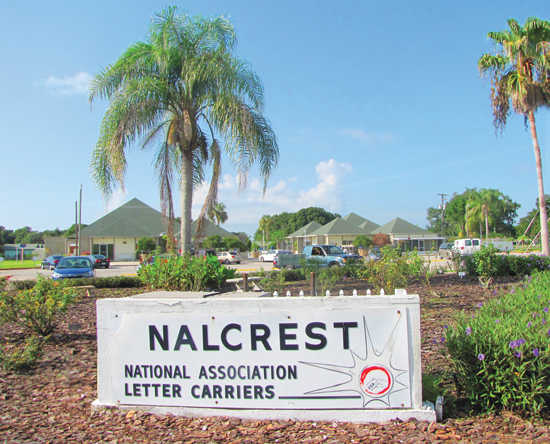 Nalcrest is a retirement community for postal workers. The name is an acronym for National Association of Letter Carriers Retirement, Education, Security, and Training. This entry was posted in Florida and tagged Chain of Lakes, Cypress Gardens, Frostproof, Gram Parsons, Joker Marchant Stadium, Lakeland, Nalcrest, Publix, Winter Haven. you know I just LOVE the postcard pics! thnx!